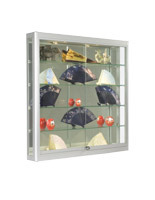 This store case for wall mounting highlights museum artifacts, jewelry, electronics, and upscale merchandise with two LED top lights that capture every detail of the displayed items. 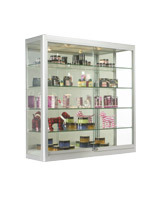 A power switch is placed inside the case so retailers don't have to bend down toward an outlet to turn it on. 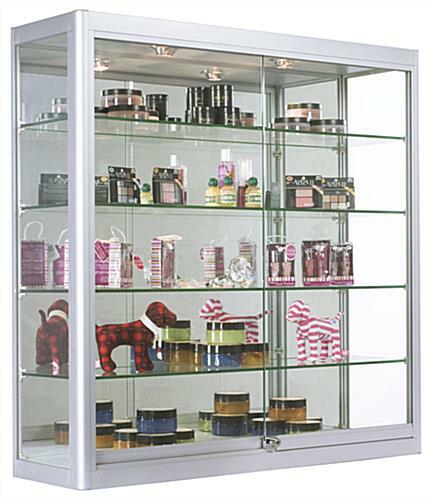 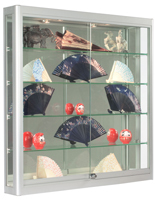 This display cabinet has a hanging style with sliding tempered glass doors and LED lighting. 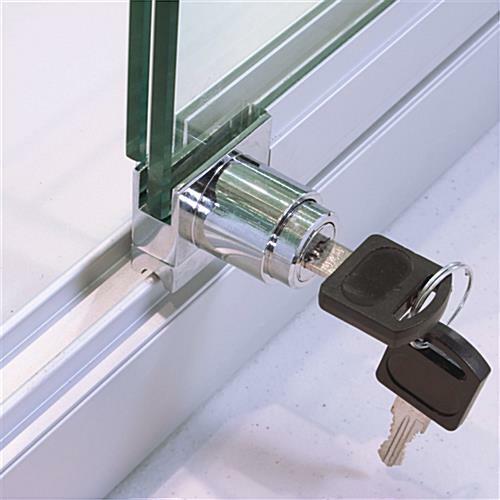 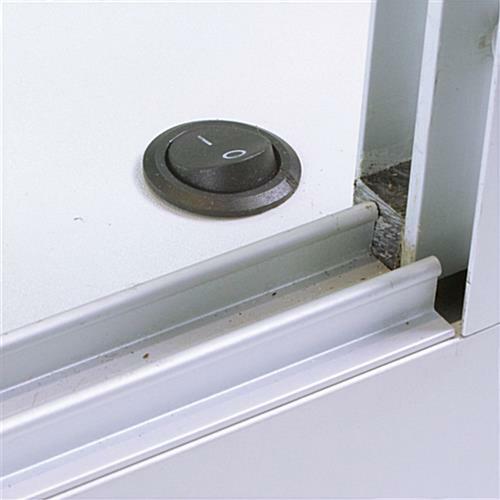 This retail store furniture with double Z-bar mounting comes with a plunger lock and key set to keep valuable items secure. 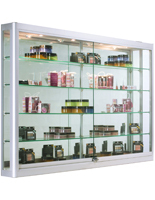 Showroom cabinetry enhances boutiques, showrooms and galleries with modern style. 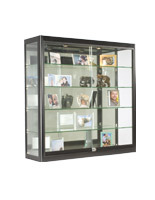 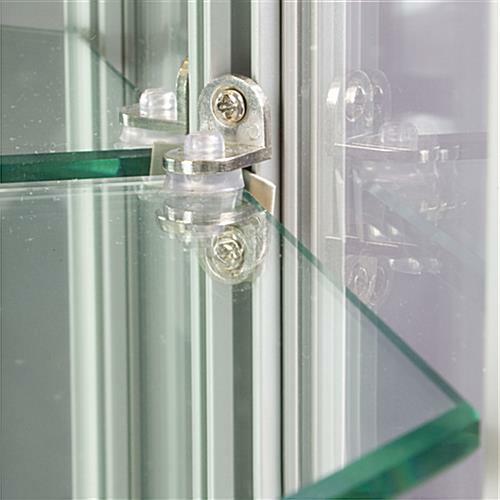 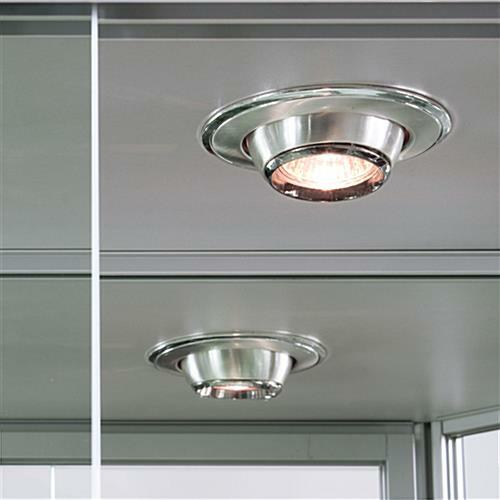 Four 10" deep glass shelves with illumination permit full views so no item goes unnoticed. 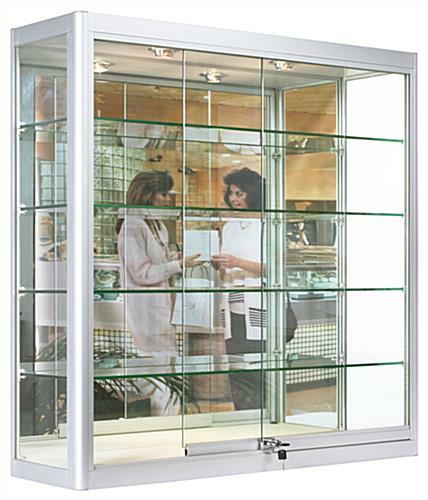 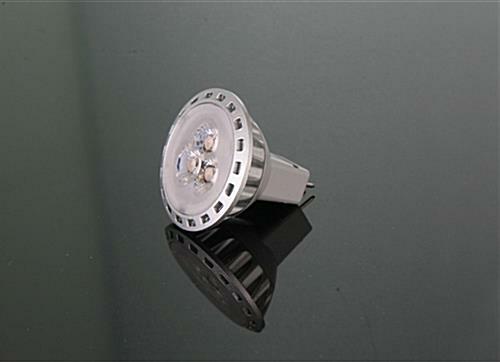 Buy aluminum retail furniture when small, delicate, expensive, or valuable items need to be displayed. 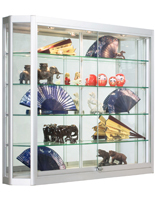 This silver case for wall mounting has four 10" deep tempered glass shelves on which to store and display all manner of collectibles.